I have been collecting examples of public signage that fails to communicate helpful information to pedestrians for a few years now. 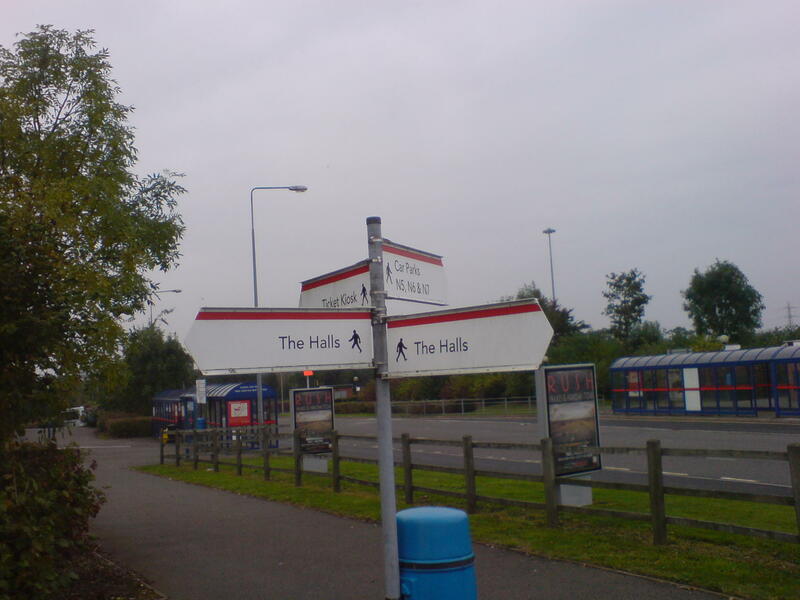 Signage for motorists was standardised many years ago and is generally very clear. Pedestrians it can be very poor indeed as shown in these examples. I spotted these first ones at the National Exhibition Centre in Birmingham in 2007. 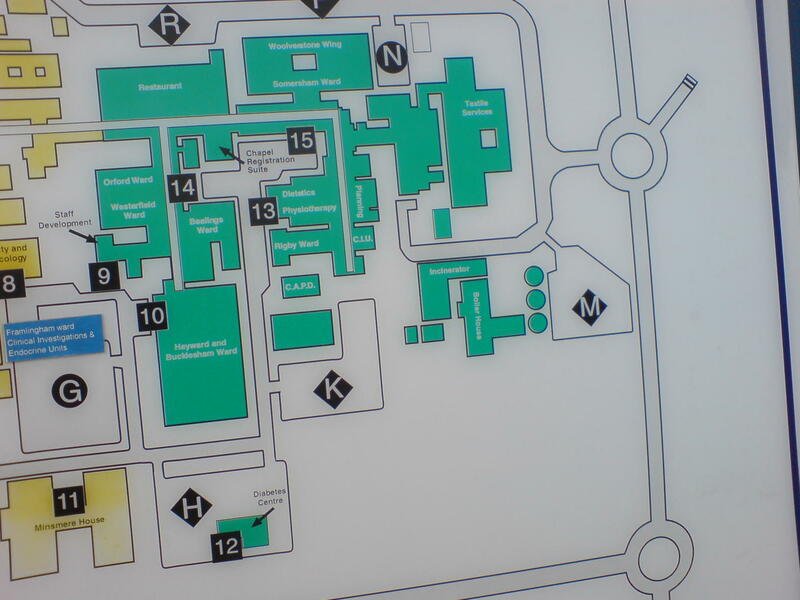 There are actually 20 halls over a wide area. Should I go left or right or take the shuttle. Who knows! 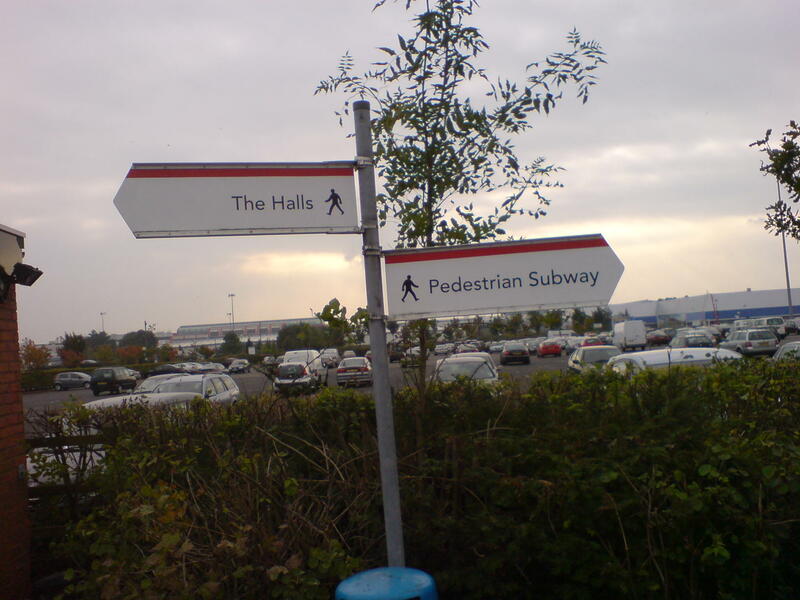 OK, do I want to go to the halls or to the halls? Why would I want to go to a pedestrian subway? Does it lead anywhere? 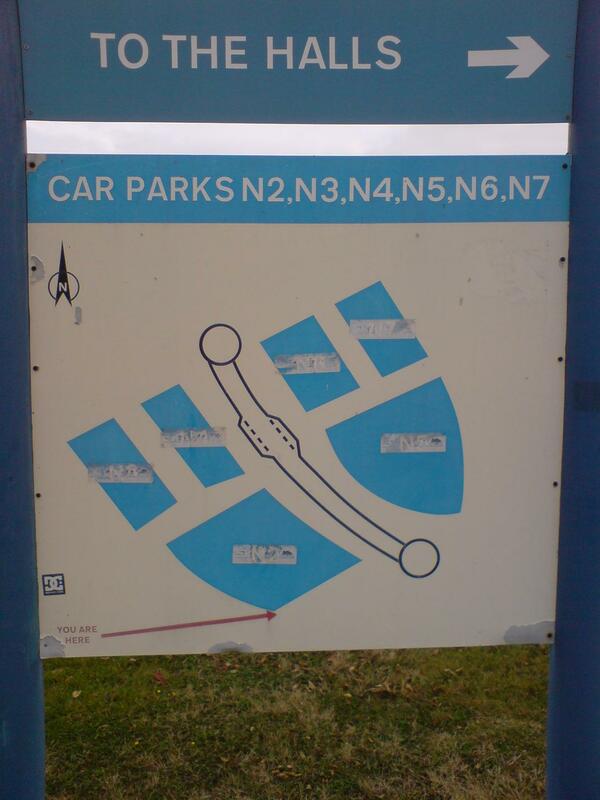 And what on earth was this map meant to convey? There is a stub road that doesn’t go anywhere and there are no footpaths at all. It doesn’t help that the car park numbers have been covered over, but it wasn’t very useful before. 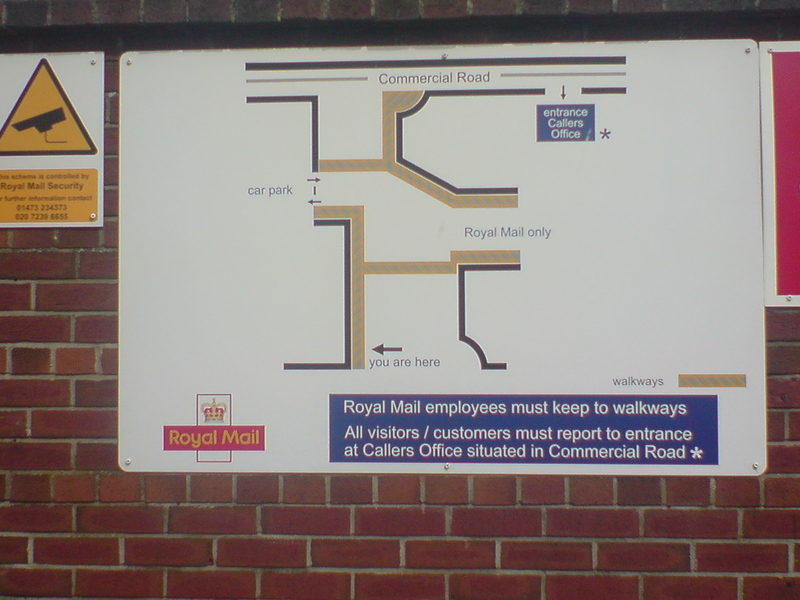 Back in Ipswich, this map outside the royal mail sorting office seems to be designed to confuse. And this map in the grounds of the main hospital fails to show any pedestrian routes, include the main pedestrian/cycle route to Woodbridge Road on the right of the map. It also fails to name Woodbridge Road and doesn’t show the bus stops. 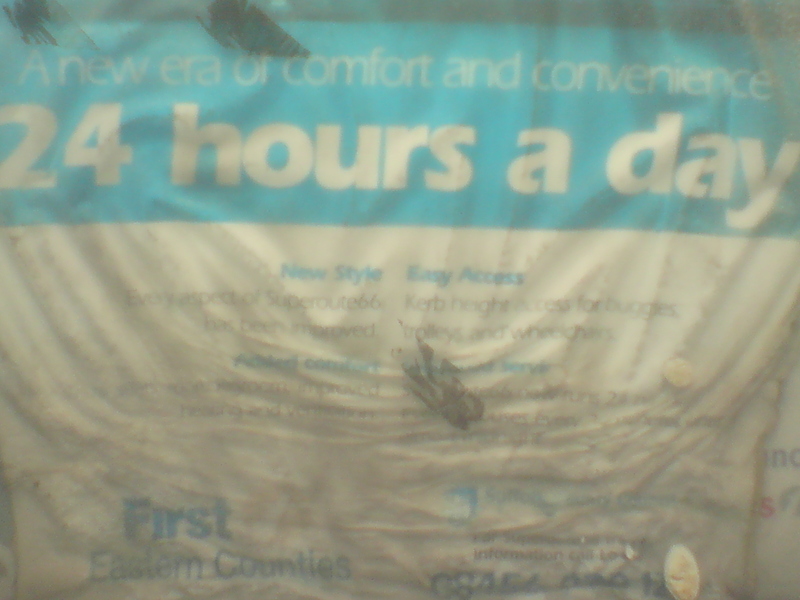 There is actually a very good bus service along Woodbridge road, including ‘Superroute 66’ which runs 24 hours a day. Someone should take the original promotional material down now because I think it has lost some of its initial impact! 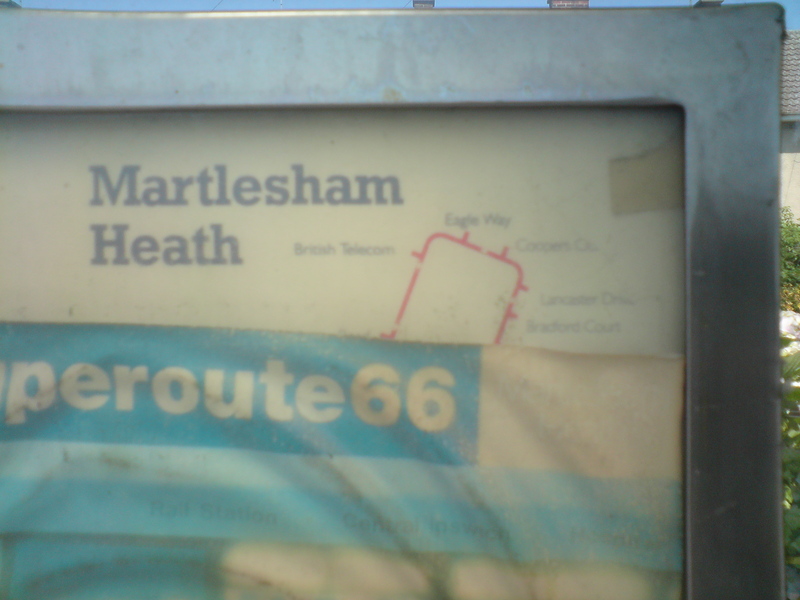 ‘Super’ route 66 – dodgy promotional material! Needless to say, I have selected only the failures to show here. There is a lot of very good helpful signage out there but this isn’t it and there needs to be better quality control to stop the duff stuff getting put up and to get it taken down quickly. Do report failures on FixMyStreet. Some of the best work is being done in London with their Legible London project.